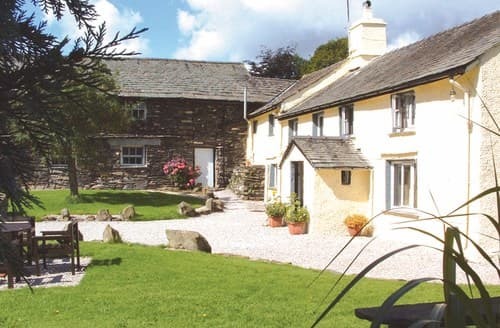 What our customers are saying about our Holiday Cottages In Hawkshead To Rent. 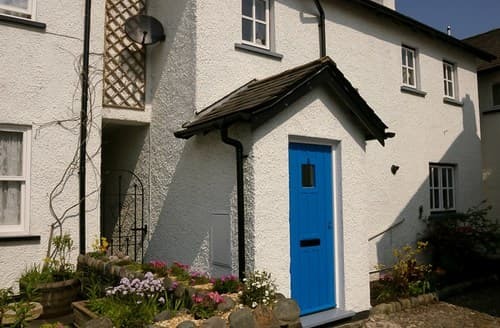 "On arrival, this cottage was presented as described on the website. 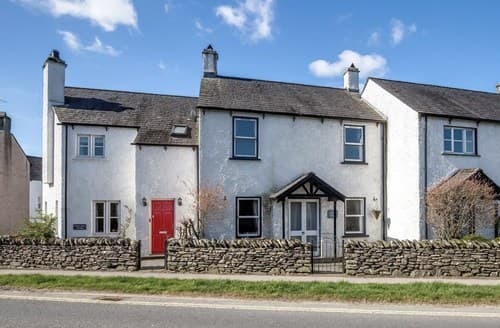 It was delightfully and stylishly refurbished which was what had attracted me to it, as well as only being a 5 minute walk to the village, perfect. Plenty of useful facilities, plus they had provided essentials such as dish washer tabs and tea towels. However, the entrance to the kitchen from the back door had a very distinctive smell of damp which was also apparent in the kitchen and on the stairs. 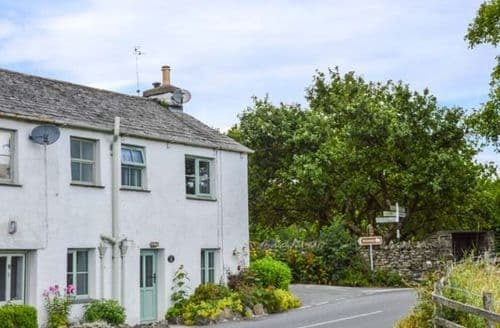 I am aware it is an old cottage, but it was quite off putting as the kitchen and toilet roll had that limp feel, plus our bath towels and tea towels were not drying prior to the next use. We also used the washer which had a dryer facility (no line or pegs to hang out) which proved a waste of time. The drying cycle did not work well, so I hung the clothes on the airer I’d found, but the clothes did not fully dry as the air was damp. 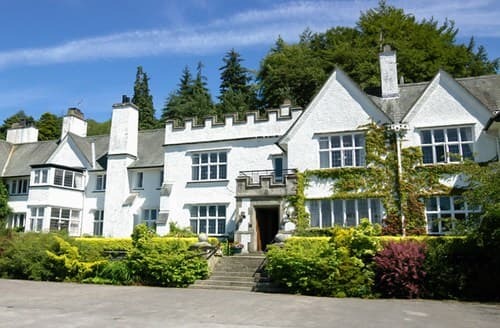 Very disappointing as we visited in August and felt the use of the log fire was unnecessary. 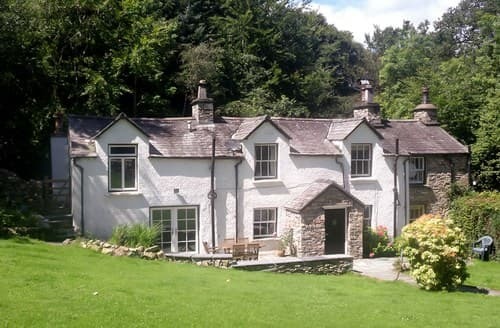 The cottage was very clean but they had missed some attention to detail, such as a couple of light bulbs missing, a broken roman blind in the kitchen and hadn’t provided any matches to light the fire if we’d wanted to. You cannot reach the toilet quietly as you have to negotiate the incredibly squeaky floorboards, some might say this adds to the charm, we just found them annoying. The location of the cottage was idyllic looking over the fields, it was really pretty. 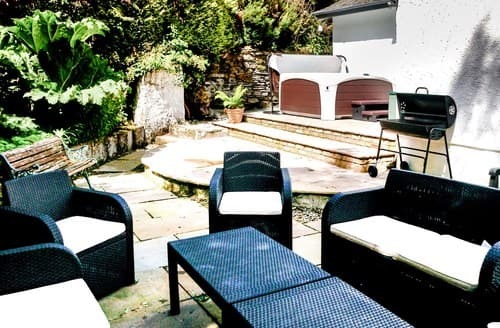 Had it have not been for the damp, I would definitely stay there again, but sadly for us, it outweighed the presentation of the place." 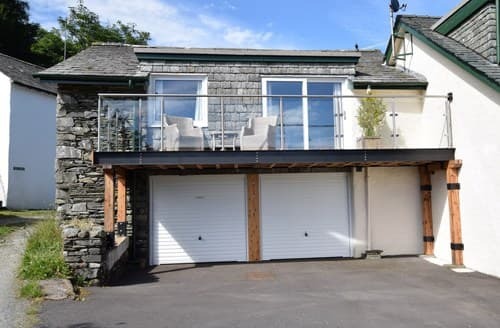 "It was delightfully and stylishly refurbished which was what had attracted me to it, as well as only being a 5 minute walk to the village, perfect. Plenty of useful facilities, plus they had provided essentials such as dish washer tabs and tea towels. However, the entrance to the kitchen from the back door had a very distinctive smell of damp which was also apparent in the kitchen and on the stairs. 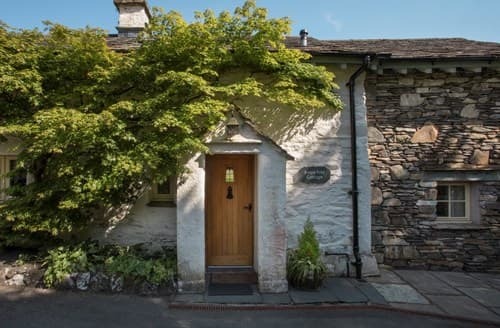 I am aware it is an old cottage, but it was quite off putting as the kitchen and toilet roll had that limp feel, plus our bath towels and tea towels were not drying prior to the next use. We also used the washer which had a dryer facility (no line or pegs to hang out) which proved a waste of time. The drying cycle did not work well, so I hung the clothes on the airer I’d found, but the clothes did not fully dry as the air was damp. 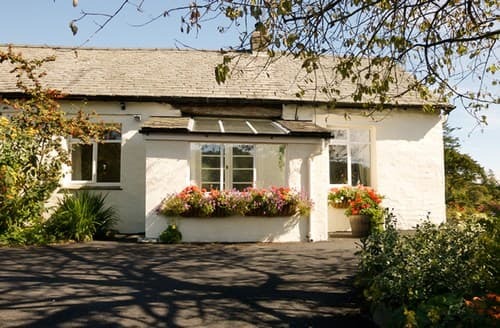 Very disappointing as we visited in August and felt the use of the log fire was unnecessary. 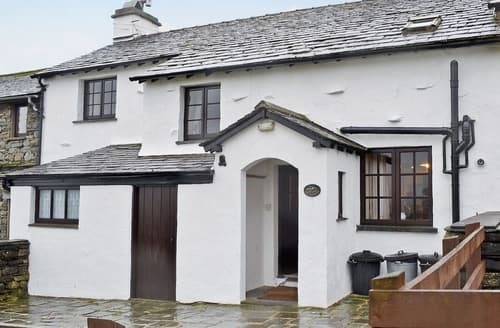 The cottage was very clean but they had missed some attention to detail, such as a couple of light bulbs missing, a broken roman blind in the kitchen and hadn’t provided any matches to light the fire if we’d wanted to. You cannot reach the toilet quietly as you have to negotiate the incredibly squeaky floorboards, some might say this adds to the charm, we just found them annoying. The location of the cottage was idyllic looking over the fields, it was really pretty. Had it have not been for the damp, I would definitely stay there again, but sadly for us, it outweighed the presentation of the place." 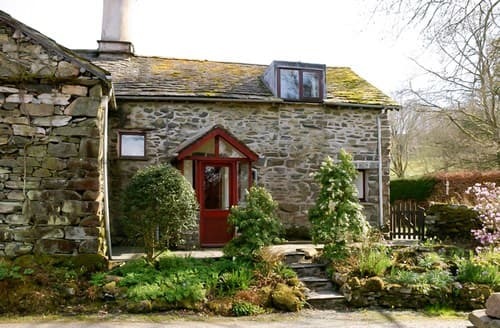 "We had a great weekend with the kids at S44192, they loved staying in a traditional cottage with a coal fire in the lounge and log burner in the kitchen. 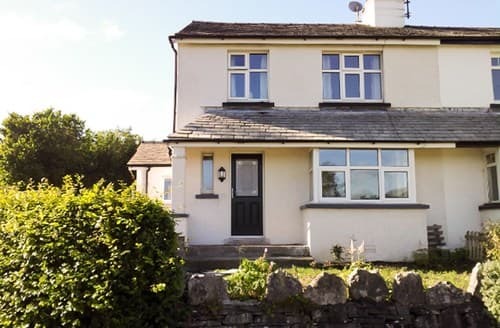 It was nice to stay in a traditional cottage with the benefit of underfloor heating and Wi-Fi. 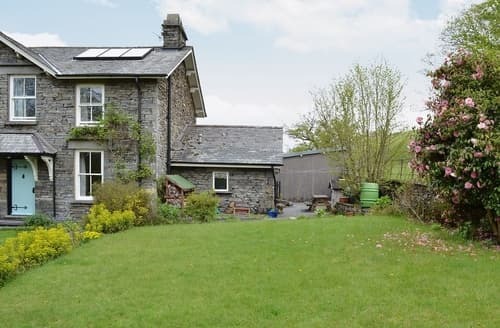 The underfloor heating came in handy for drying our clothes after our winter walks and they were dry in no time.The radiators in the bedrooms upstairs could be adjusted to our preferred setting which was great. In some cottages we have rented the bedroom radIators could not be adjusted which is not ideal. 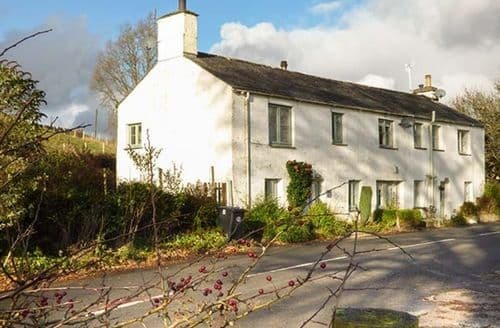 S44192 is approx a 5 minute walk into Hawkshead and adjacent to the road leading up to Grizedale. 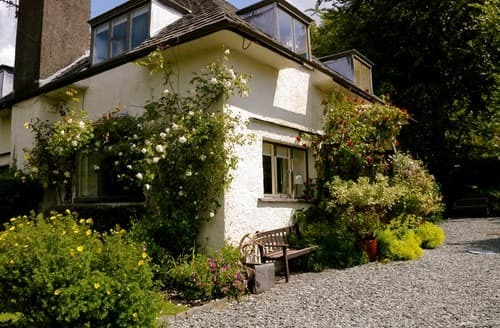 The cottage was very clean and the rooms have been furnished and decorated well. It was great to have a private car parking space and not have to worry about parking. The bike store next to the private drive was ideal and we could off load the bikes straight into it when we arrived. 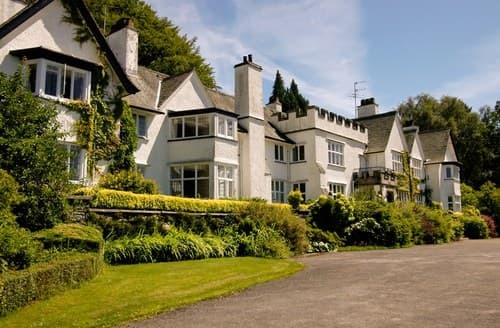 We really enjoyed our stay and we would love to return." "We have stayed here twice now. 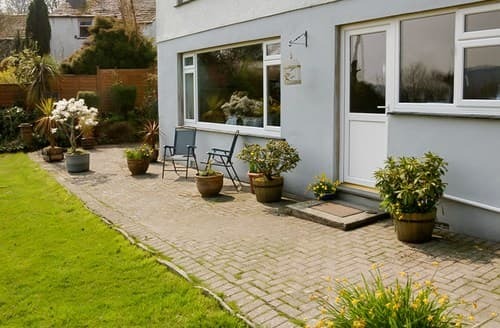 It is in a lovely quiet location, has its own drive and parking space, nice big garden, It is spacious inside and we'll equipt. It was nice to see new carpets throughout, new sofas, lighting and new lick of paint. It's so quiet and peaceful. 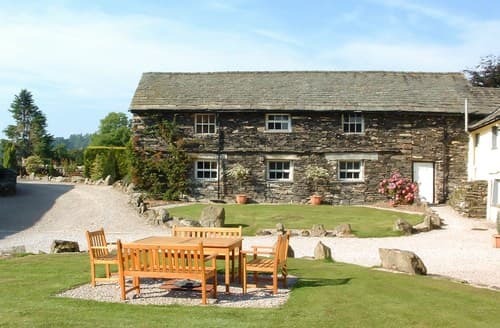 It's only about a mile and a half away from Hawkeshead by car and a 25 minute walk across the fields, also Ambleside just up the road. Lovely walks from the cottage and beautiful scenery. Also lovely fluffy towels provided.The only drawback was The double bed was very uncomfortable from last time we stayed, myself and my husband after a few nights ended up with backache.On arrival a few of the main light bulbs didn't work, the shower wasn't cleaned from previous occupants and there were cobwebs behind the sofa. We weren't too fussed about the light bulbs and I cleaned the shower. 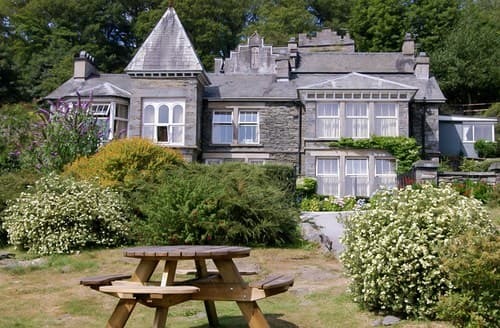 We would love to stay there again but have been told its being sold." 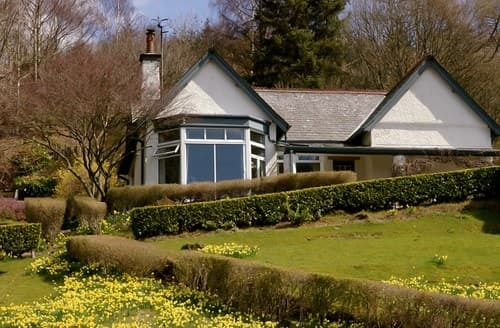 "The location is amazing with lots of walks on your doorstep. 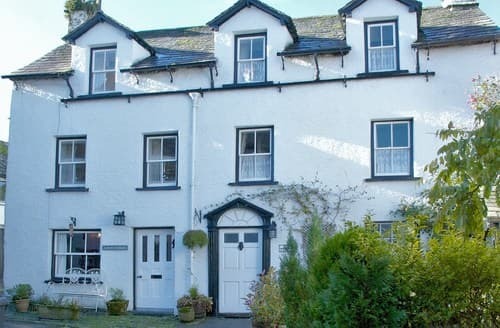 Hawkshead Village is only a five minute walk away which has four pubs to choose from which all do good food with a friendly atmosphere.There is a park 300 yards away which has tennis courts, basketball, football and play areas for the children.The Cottage is beautifully furnished and well equipped with underfloor heating on the ground floor. We really enjoyed relaxing in the reading room taking in the views and relaxing after our walks.BT Sports and a DVD player is available in the lounge. 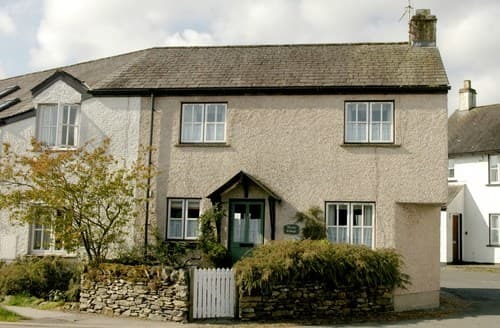 There are two good sized double bedrooms with lovely views across the fells. It was great to have a private car parking space and secure lockable shed to store the bikes. 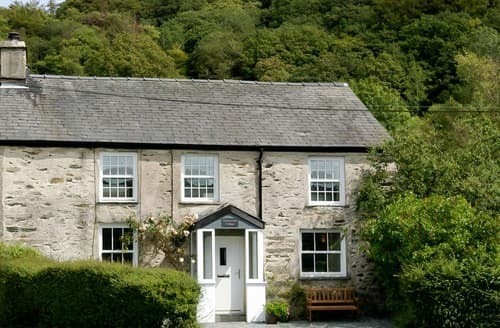 We really enjoyed our stay at S44192 and will definitely return again."